These numbers are pretty staggering considering the fact that E-DOG won last year and I think he ended the year with about 235 points. We are doing well in these bets, but John Juanda is still in the PLO and that is our biggest bet. 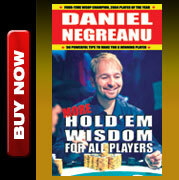 Tonight is the $10k limit hold'em event and that should be a great opportunity for team Negreanu/Lindgren. It's his best game for sure so I'm hoping he gets out of his funk tonight and I join him at the final table. 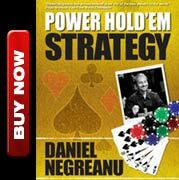 That's all for now... checkout my daily video blog at www.fullcontactpoker.com.